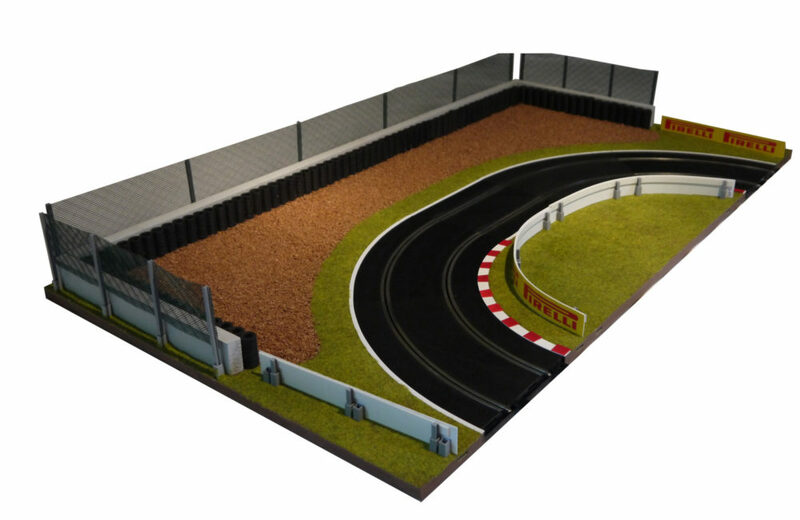 Motor racing circuits almost always define the inside of the corners with kerbs, usually with raised rumble strips to discourage the drivers from cutting the corners. 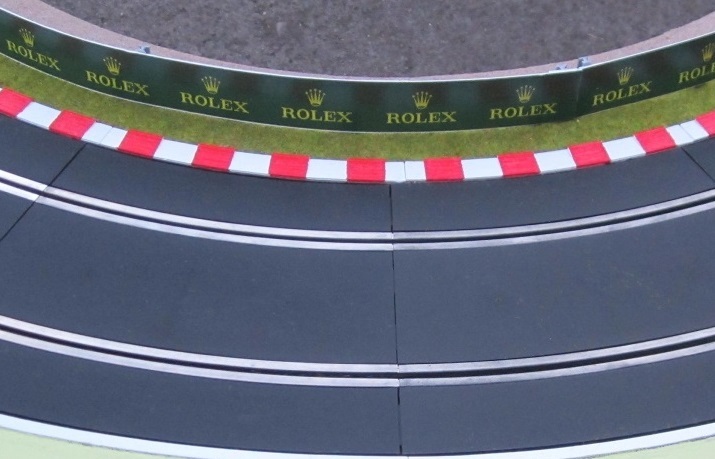 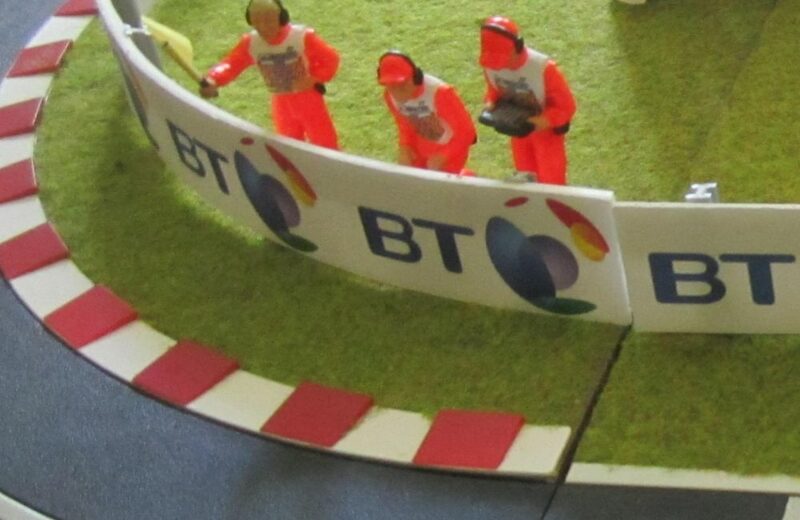 Together with some on the straights just before and after corners they also usually define the ‘racing line’. 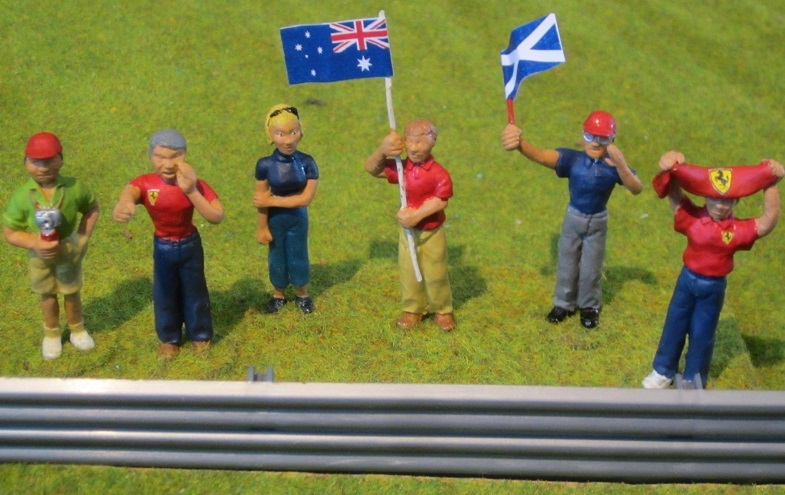 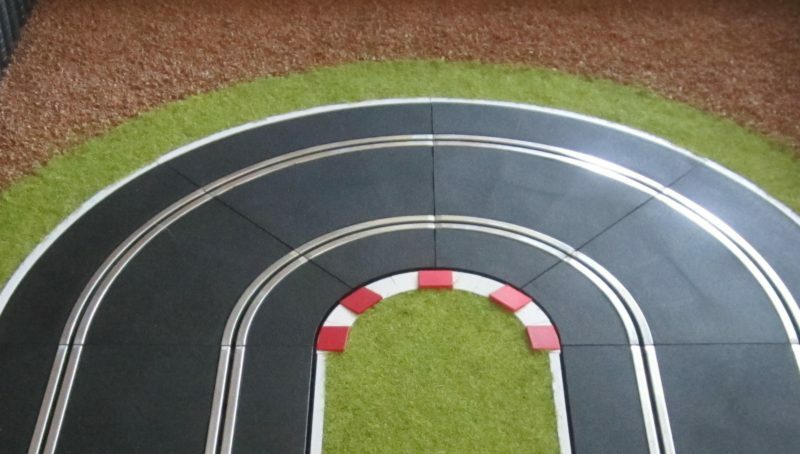 Now, if you are routing your own track from wood or are putting borders alongside your track pieces, you can reproduce these with our kerb packs. 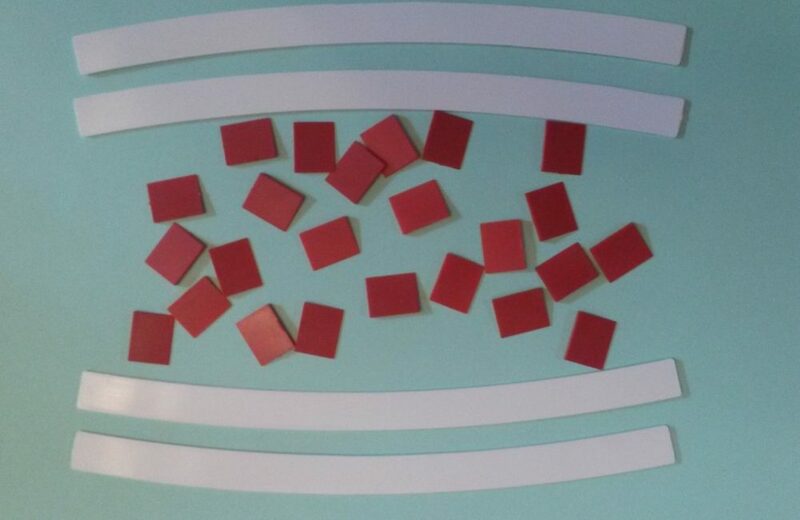 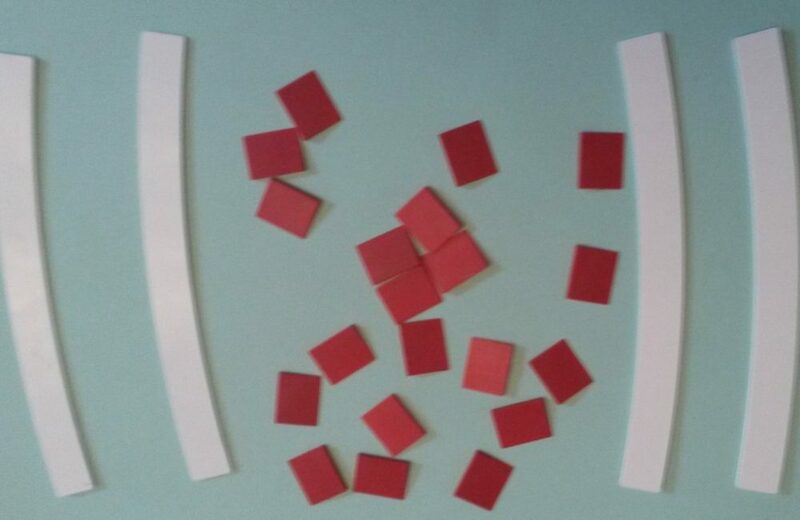 These are injection moulded in white and red plastic. 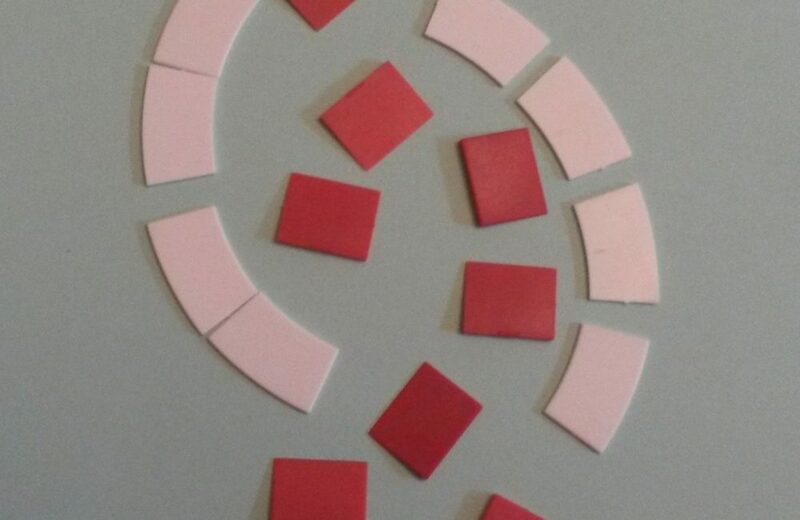 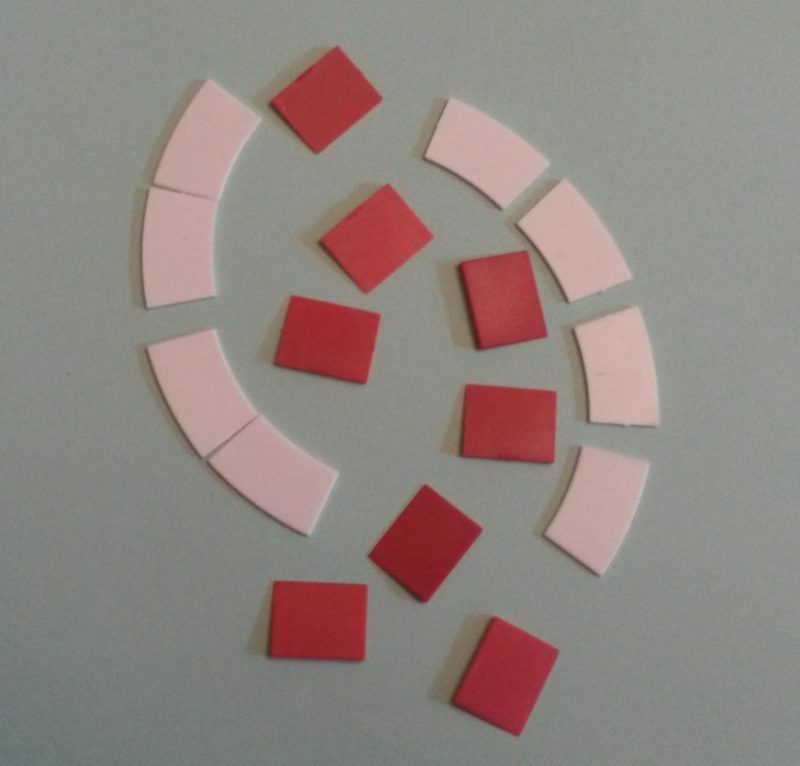 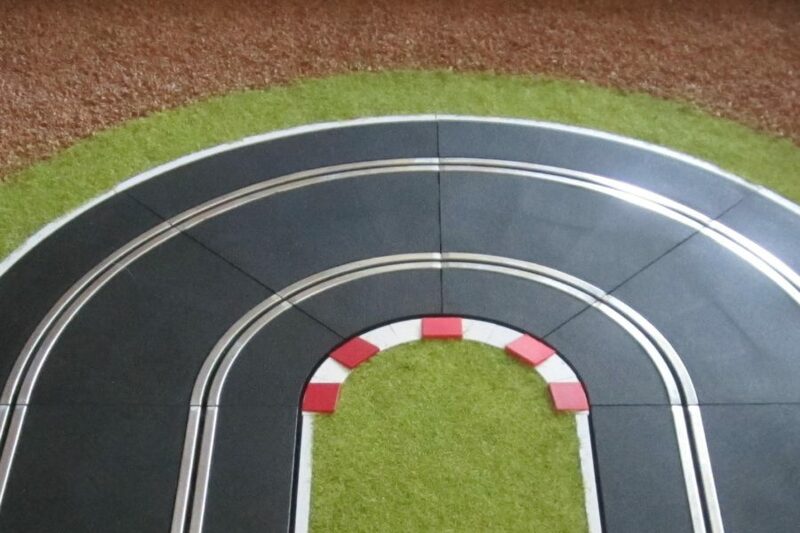 The white shapes are stuck on round the inside of the bend and then the red rumble strips glued on to them at the intervals you wish. 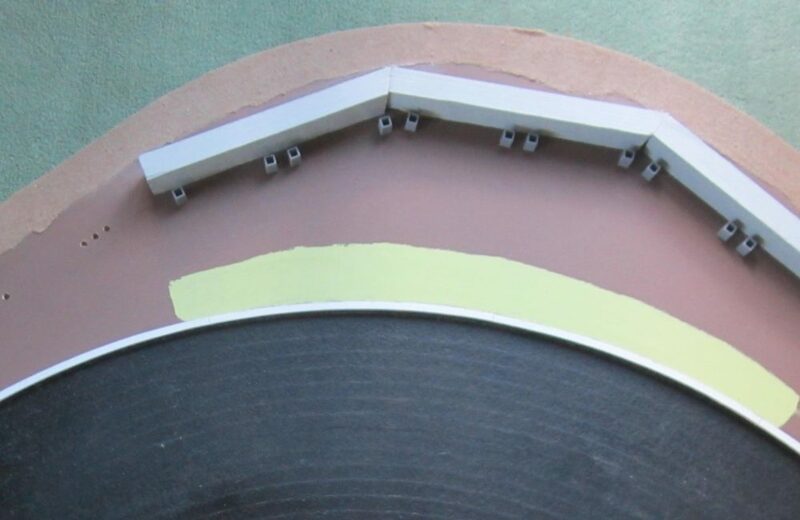 So no painting is required. 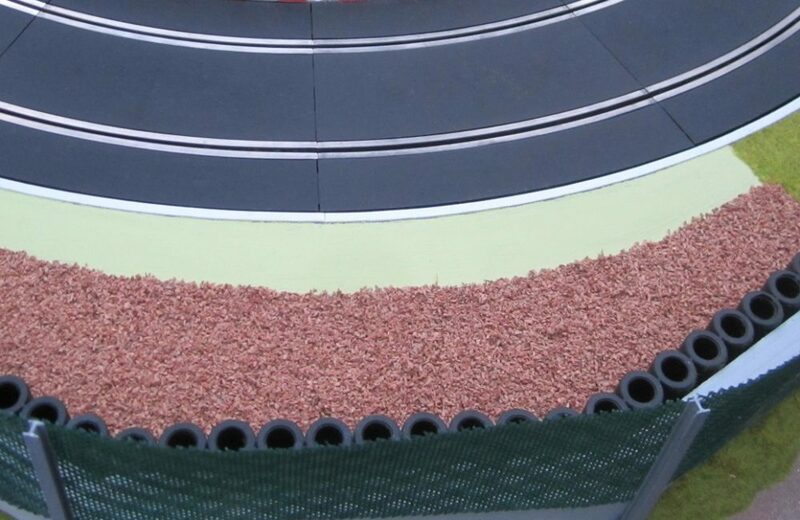 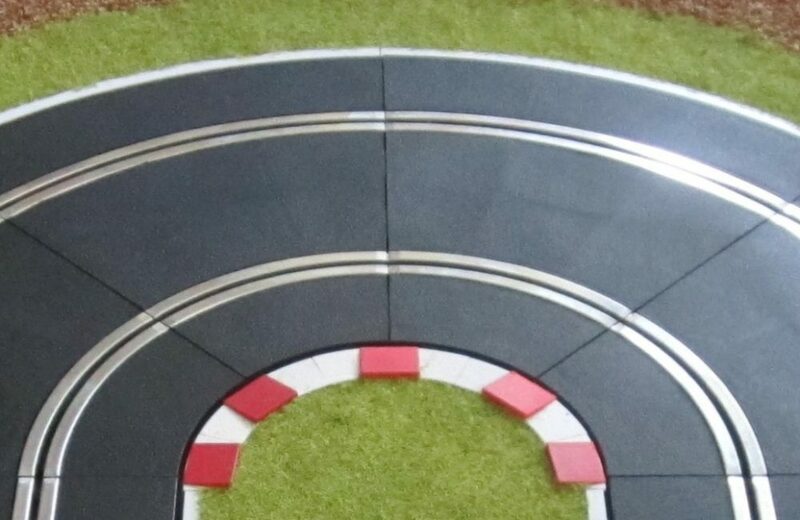 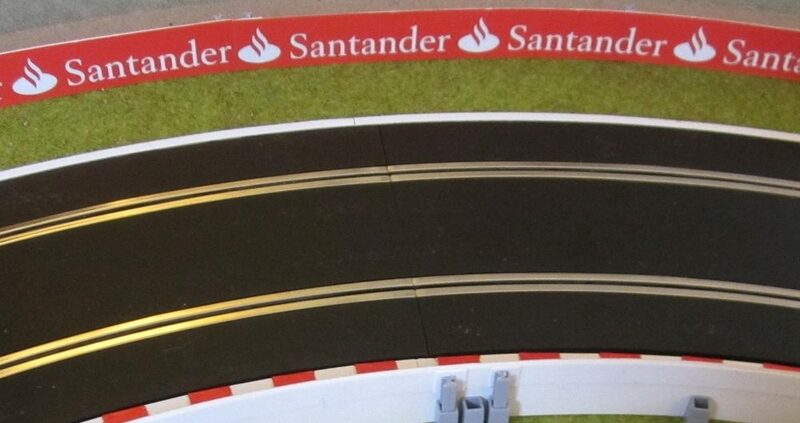 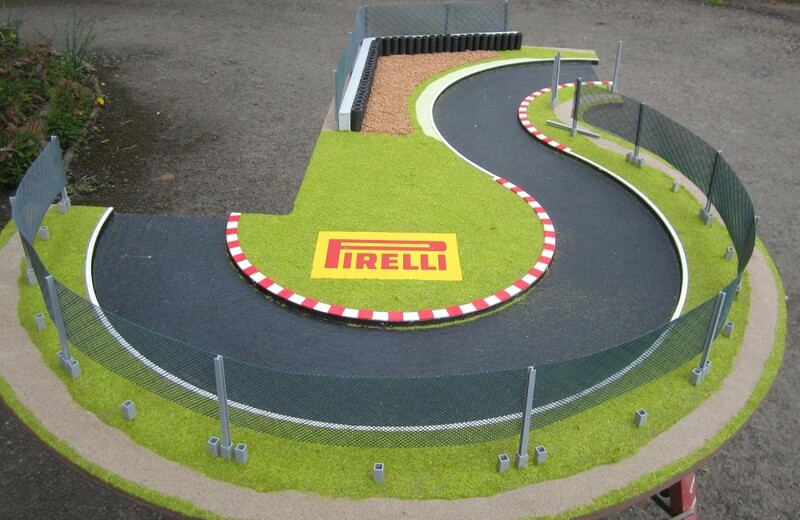 This pack is suitable for Scalextric Radius 1 curves (C8202) but can also be used with other track systems or routed tracks for tight corners. 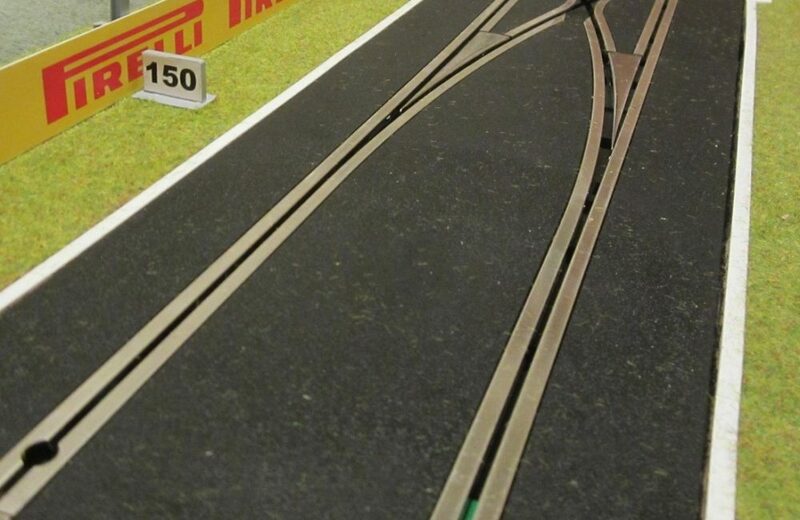 It is enough for 180 degrees of Radius 1 corners, which is 4 Scalextric R1 45 degree curves. 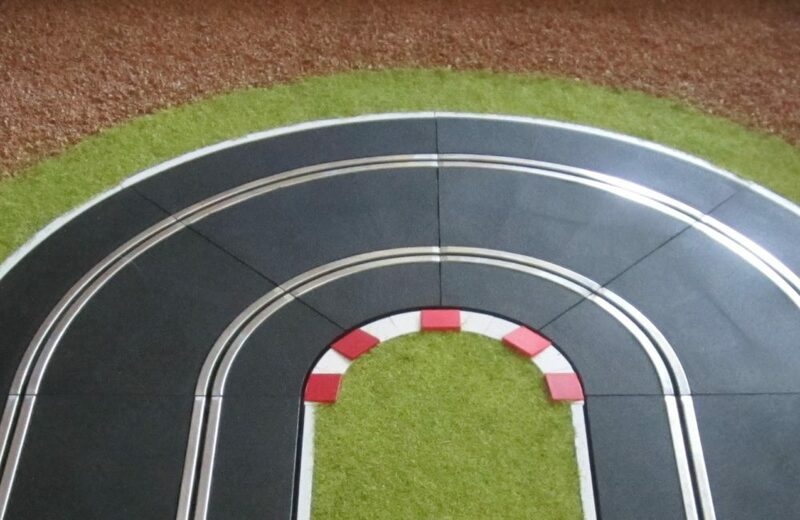 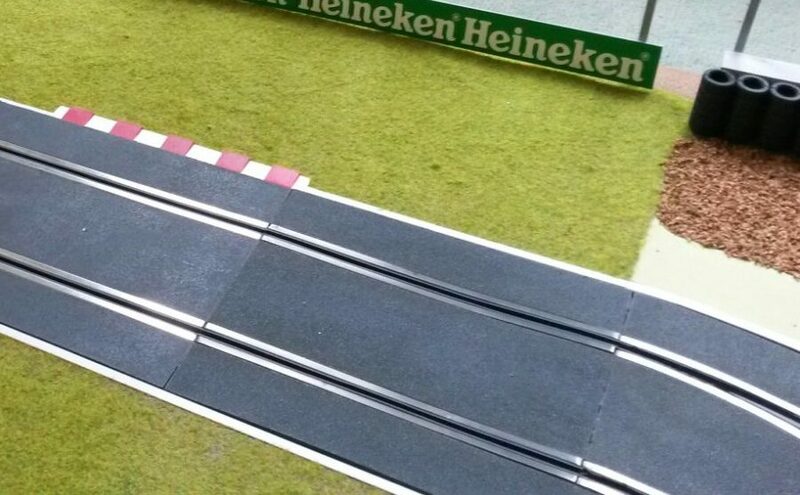 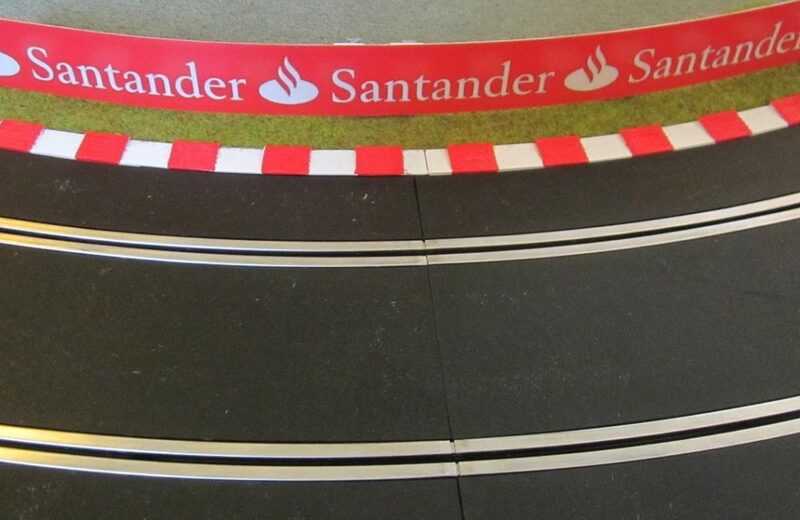 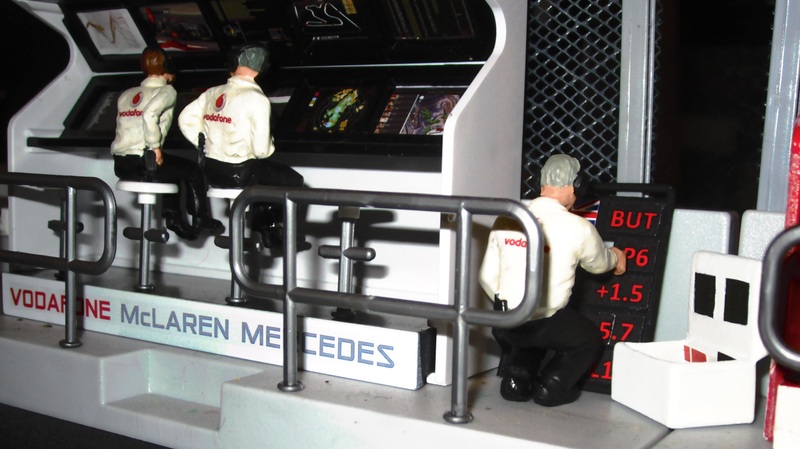 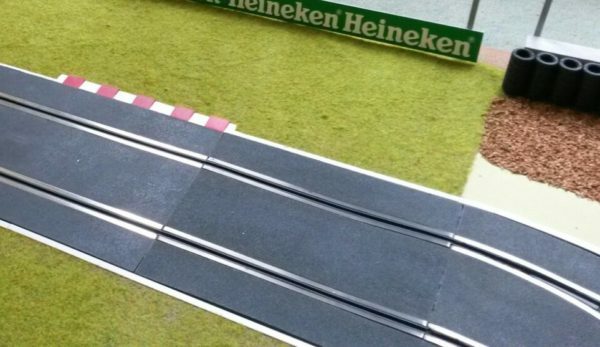 WL-R2 : Four white line pieces for Scalextric Radius 2 curves.